"Cool Jerk is awesome and Horn is dead hexy," says Scarlet Witch. 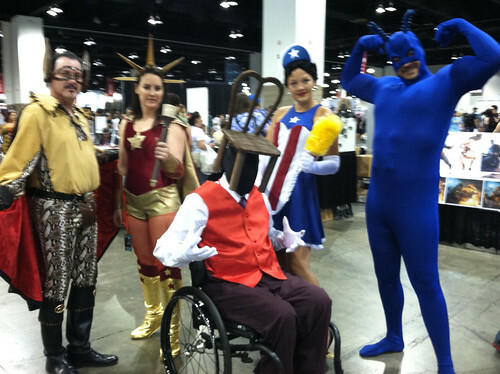 Denver Comic Con’s third convention was another one for the win column. Attendance grew yet again, cresting somewhere around 86,000 (up from 61,000 in 2013). That’s awesome and one of the reasons Denver is one of my favorite shows — you guys love your comics. Due to scheduling conflicts, prior commitments and travel delays, I didn’t arrive until late in the day Friday, which double-sucked because Denver Comic Con made Friday a full day (previous years it was from 6-10pm). So I was only there for about a half-hour, but still managed to sell some stuff. On Saturday I had help from long-time friend Monica, who acted as a guest member of Team Cool Jerk in Darlene’s absence. Sunday went by too fast and I came pretty close to selling out of Hodabeast and Chickadoowa, and I would have if I hadn’t brought extra inventory. Thanks, Denver! 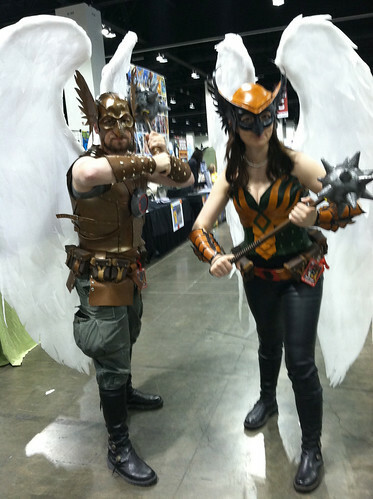 I guess I’ll start with Hawkman and Hawkgirl, who had the best Thanagarian costumes at the show. This gal was a total Brainiac. 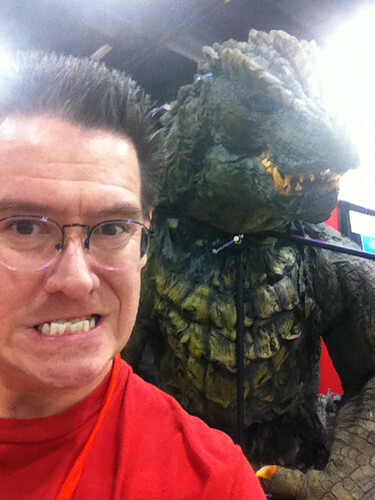 Selfie with Godzilla. He was actually several hundred feet tall; this was just a foreshortened angle. Swear! Here’s my assistant Monica, one of the few times she was at the table and not buying a Brews Wayne beer for her blog. 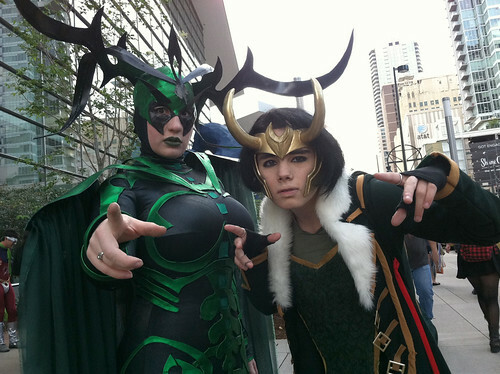 That’s a hella-bitchin’ Hela and Loki I ran into outside the ‘con. 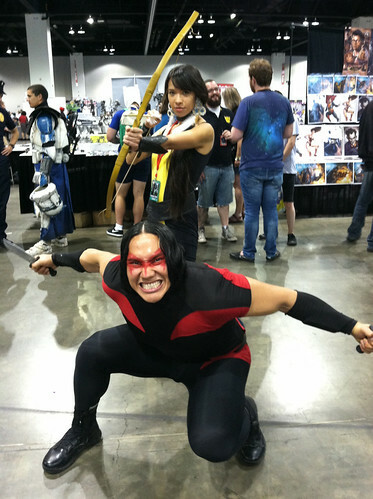 I’ve been to scores of comic conventions over the past 30 years, and I can’t ever recall seeing anyone cosplay the New Mutants, especially Mirage and Warpath. Bravo, you guys! 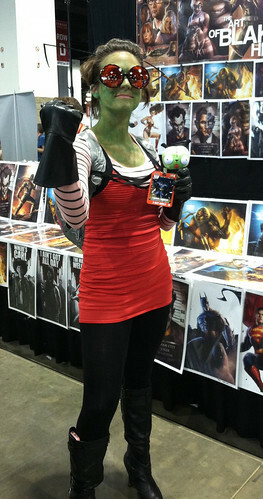 Also, this would be the first Invader Zim cosplayer I’ve ever encountered. Bonus points for the antennae. 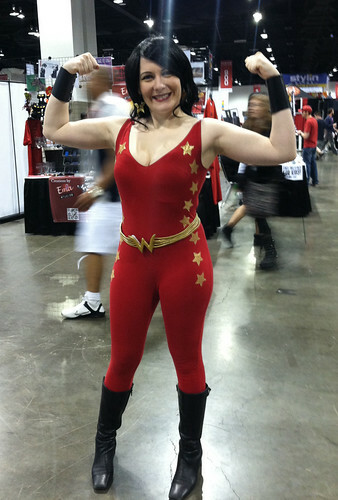 Donna Troy aka Wonder Girl took some time away from her fellow Teen Titans to show off her guns. I wish this was in better focus (damn iPhone), but here’s the cast to The Tick. 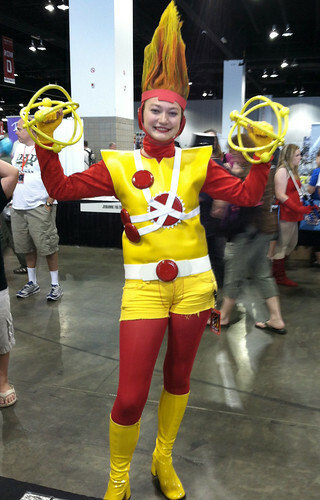 The ever-delightful Isabelle Laursen as Firestorm the Nuclear (Wo)man. My, how your corona has grown! This giggly trio of Car2Go ambassadors were amazed that I had a Car2Go card in my wallet. I was amazed that they hand-made their costumes (the photo doesn’t do it justice, but the little cars they’re wearing are really well done)! And I’ll end with Reed and Sue Richards (aka Mr. 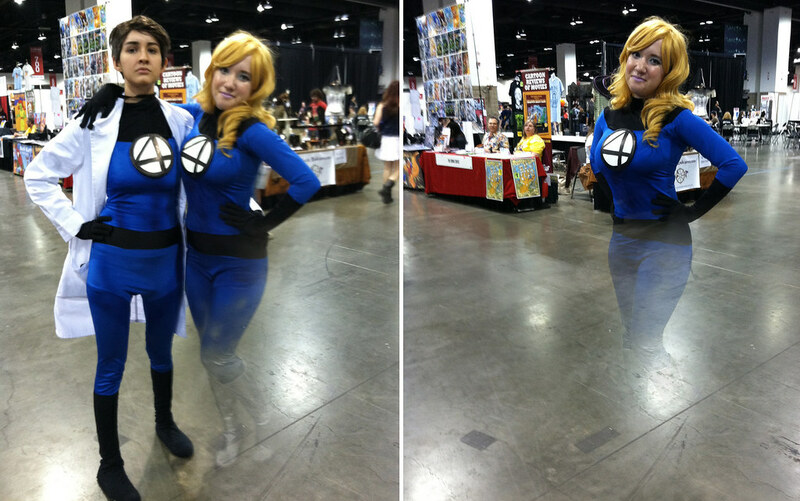 Fantastic and the Invisible Woman). 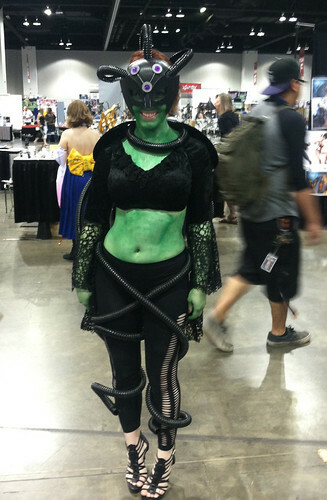 I don’t know how she did it, but her costume was mind-blowing! 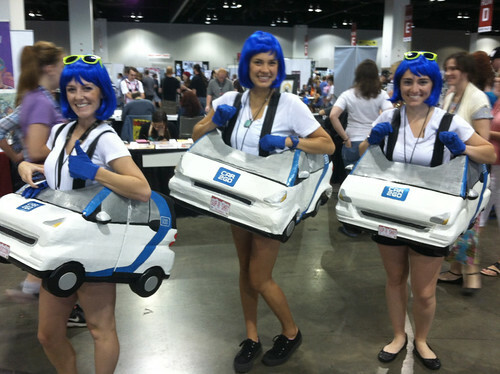 I don’t know how I feel about non-comics fans “cosplaying” as their place of business (Car2Go). Will some operators from Geico show up dressed like cavemen or geckos?